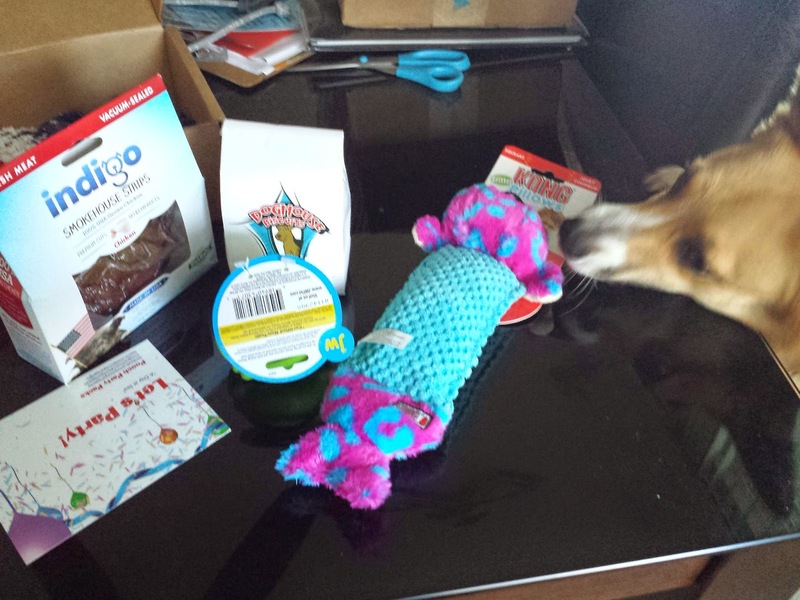 Last week I received a box from a new dog subscription service called Pooch Party Packs. The company was founded by a pup-loving couple (who spent some time here in Hawaii!) 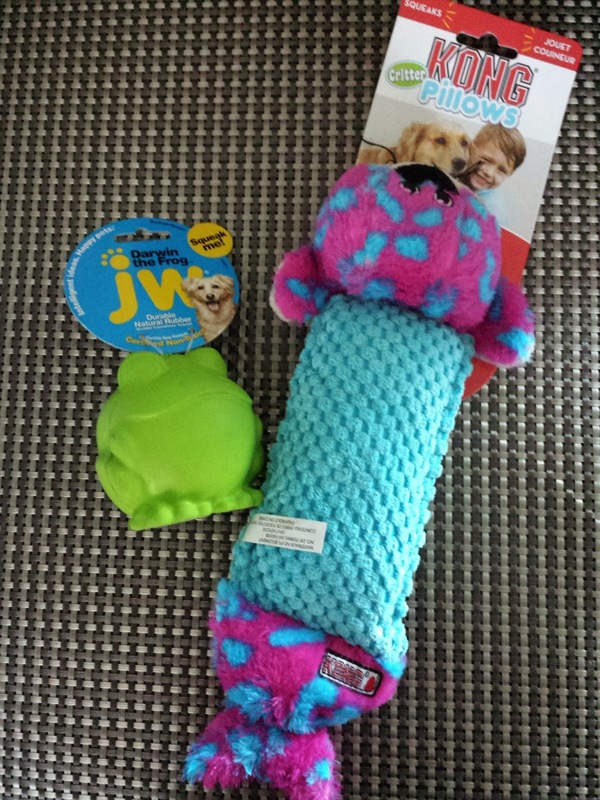 who wanted to make everyday with our four-legged friends feel like a party. 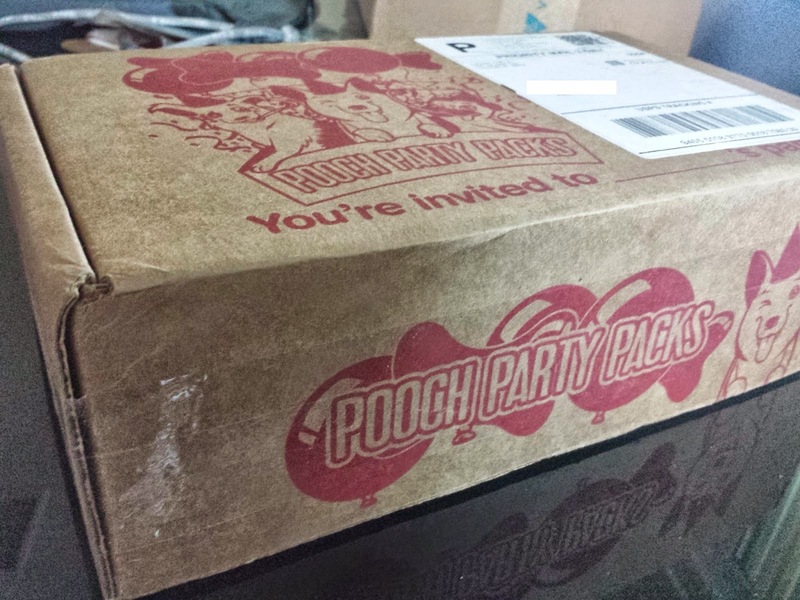 Pooch Party Packs has a soft spot for small businesses, so I think we can expect to see a lot of new brands in this box! 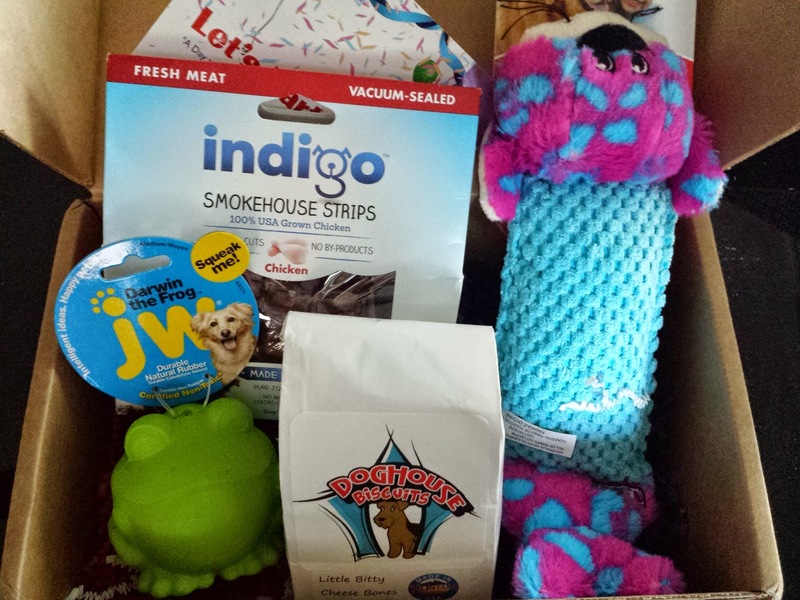 What: Pooch Party Packs is a subscription box for dogs filled with 4-5 treat, toy, and hygiene items. Boxes are curated according to your dog's size. 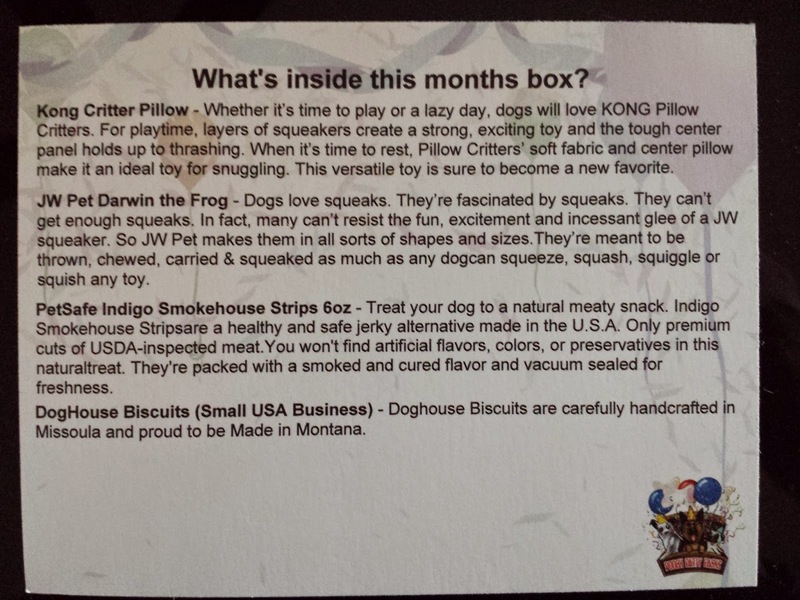 This review is for a medium-dog box. When: Ships monthly on the 15th to anywhere in the U.S. The info card detailed all the items in the box. April's theme is "A Day At Sea." Now that spring is in full swing and the water once again looks inviting, it's time for some aquatic fun! 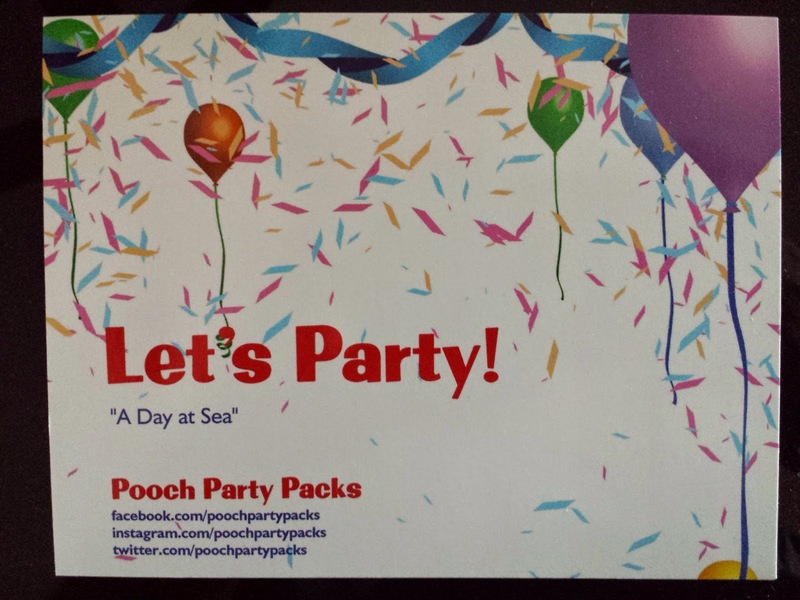 Even if you don't live near the ocean or a lake, Pooch Party Packs brings the fun to your home. The box was kinda heavy, and being the big kid that I am, that made me even more excited to dig in. Everything was packed very nicely and securely. 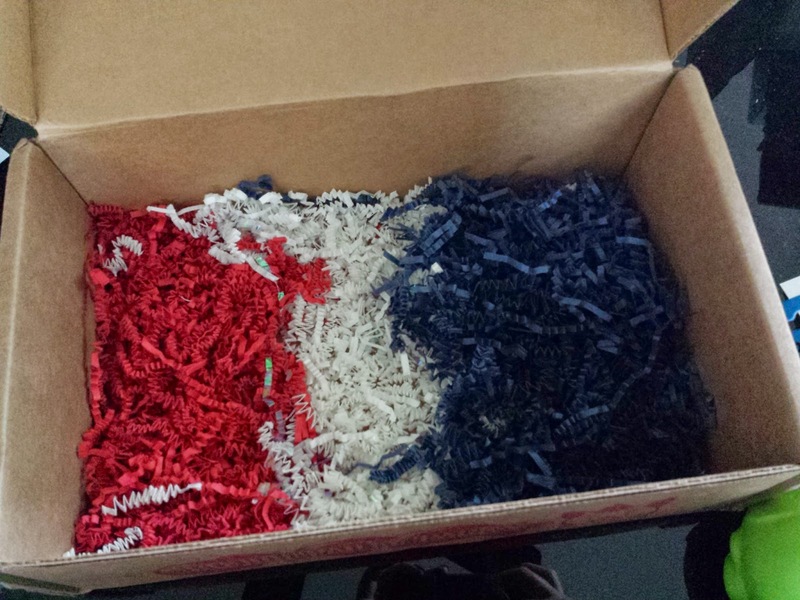 And look, patriotic paper crinkles! Kong Pillow Critters Seal (Value: $15) - Kong is known for their tough toys, but most of them (with the exception of the Kong Classic) won't last long once Pebbles gets to it. She would rip this one apart in no time and I can't bear to see that cute seal disemboweled, so this will be a Macho-only toy. When I unboxed everything Macho immediately tried to take it off the table so I think he approves (even though it doesn't give him treats). 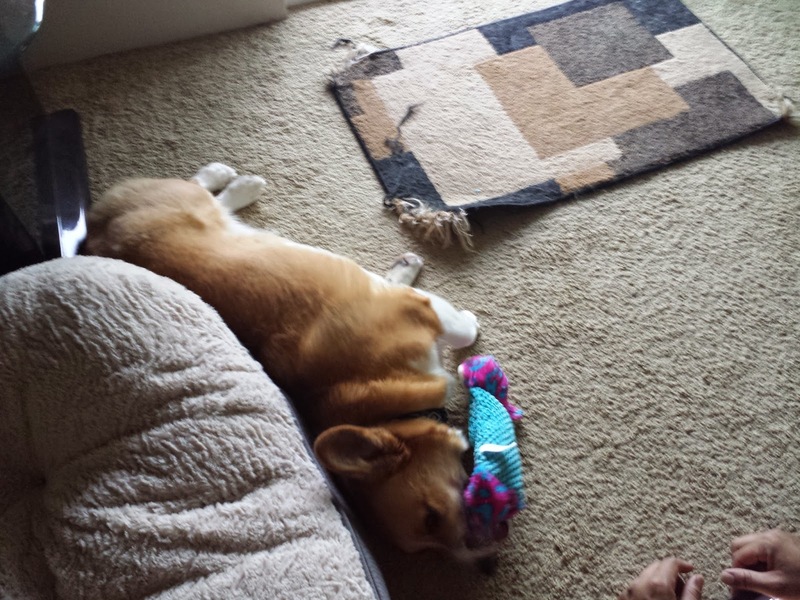 But what kind of dog-mom would I be if I didn't make him earn his toys? Five minutes later it was all gross and covered with slobber to the point where I refused to throw it for him to fetch. He then proceeded to shove it into my lap until I couldn't take it anymore. 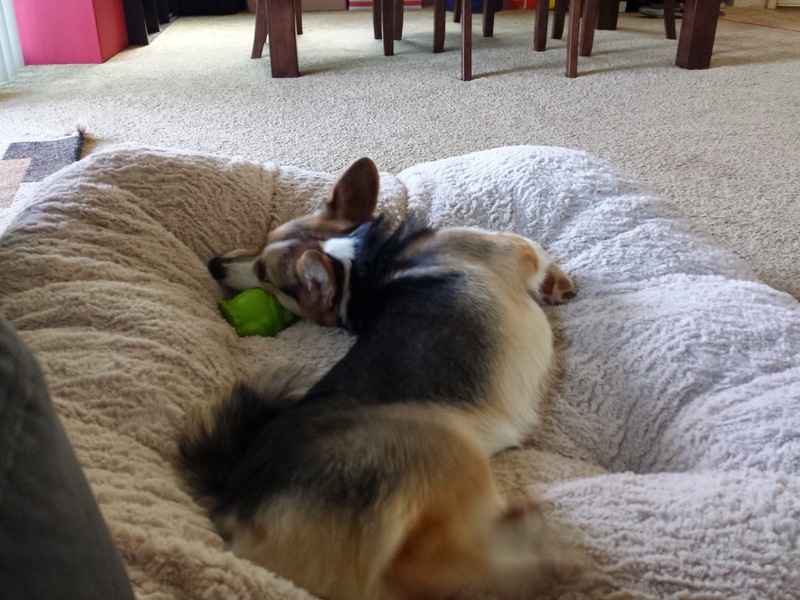 Darn dog. 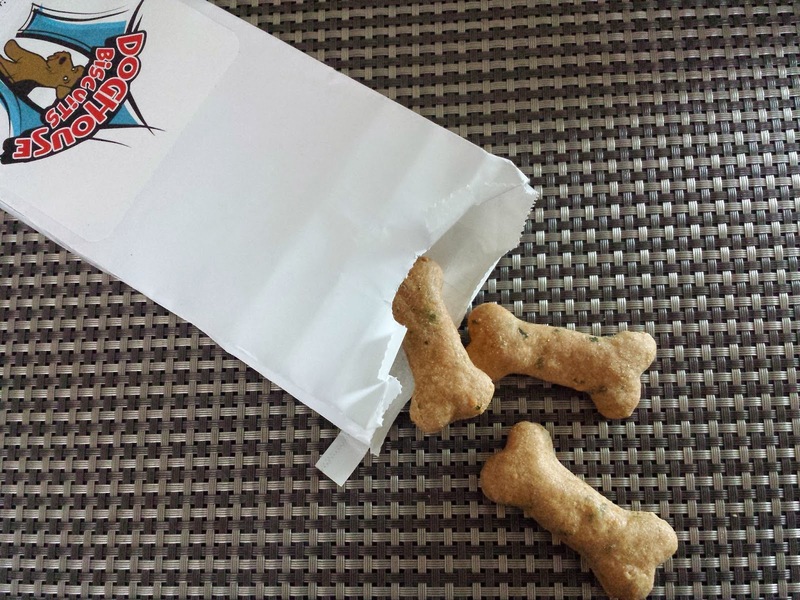 Doghouse Biscuits - Little Bitty Cheese Bones (Value: $7) - One of my favorite things to see in a dog sub box are treats from small businesses. More often than not they're organic and only contain ingredients you can pronounce. And 99.9% of the time my dogs love them. This time was no exception. These biscuits only have five ingredients, all of which I have in my kitchen. Plus, they were superfresh - it had a packaging date of 4/10 and was in my hands just a week later! It's no surprise that the furbutts love em. Also because cheese. We had so much fun with this box! From the adorable box design to the great quality of the items, we thoroughly enjoyed every bit of it. It had a value of around $37 which about breaks even with the cost, but from what I've seen this is normal with pet boxes. But it does save the hassle of going out and buying everything on your own. AND IT'S LIKE YOUR DOG IS GETTING A SURPRISE BIRTHDAY PARTY EVERY MONTH. Pebbles' favorite toy is the squeaky frog; she's constantly flinging it at Macho hoping he'll return the favor (he doesn't). Instead Macho prefers the stuffed Kong, which is odd considering he's usually only interested in treat-dispensing toys. 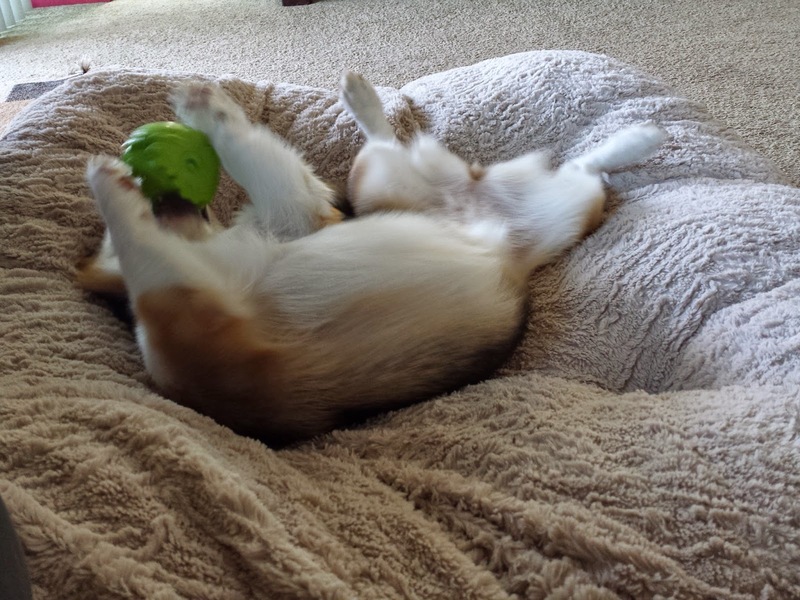 I guess the Kong is just that good. 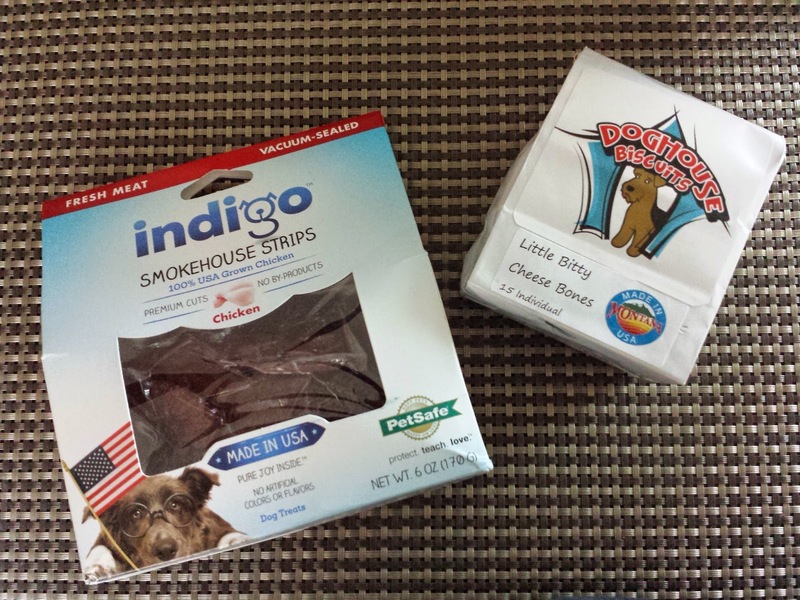 And both treats are wonderful - no preservatives and made in USA! Pooch Party Packs: Macho approves. Ahhhh, look at all those happy faces! And seriously... Macho's ears. I die. 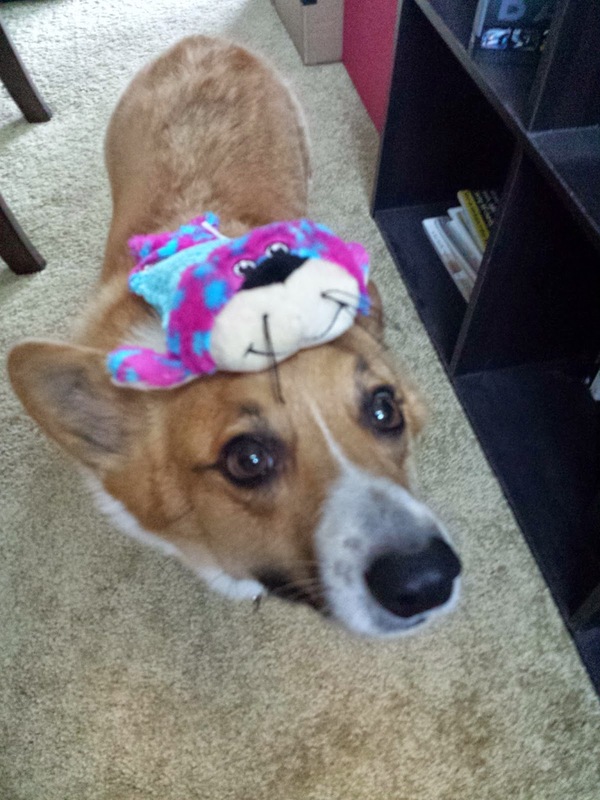 I think I need a Corgi. How old is Macho? Pebbles is just too adorable. We are so glad Macho and Pebbles enjoy the box. You have some cute dogs! We just wanted to announce that we have listened to customer feedback and we have decided to drop shipping altogether! Our prices will remain the same with FREE SHIPPING! 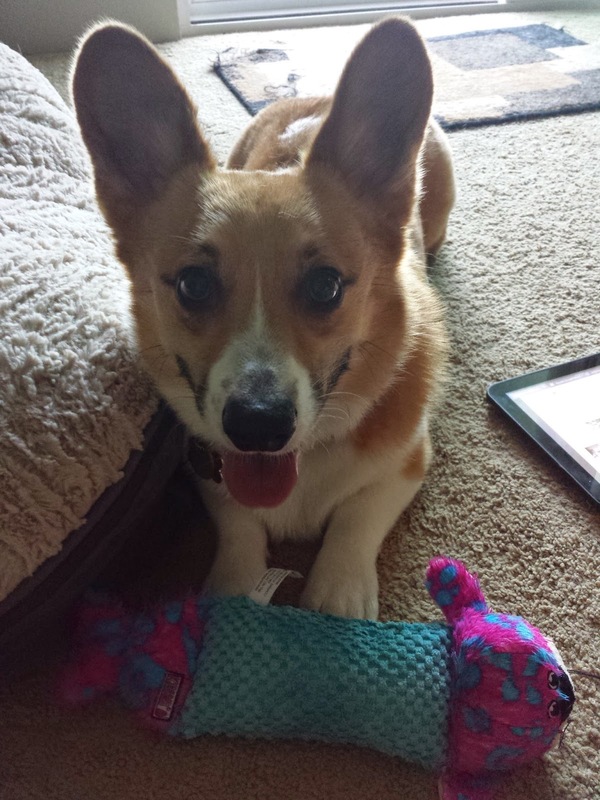 We look forward to sharing our love of finding high quality toys and healthy treats with everyone! That's so great to hear! Thank you for the update. I'll update this post right away. Keep up the fantastic boxes!